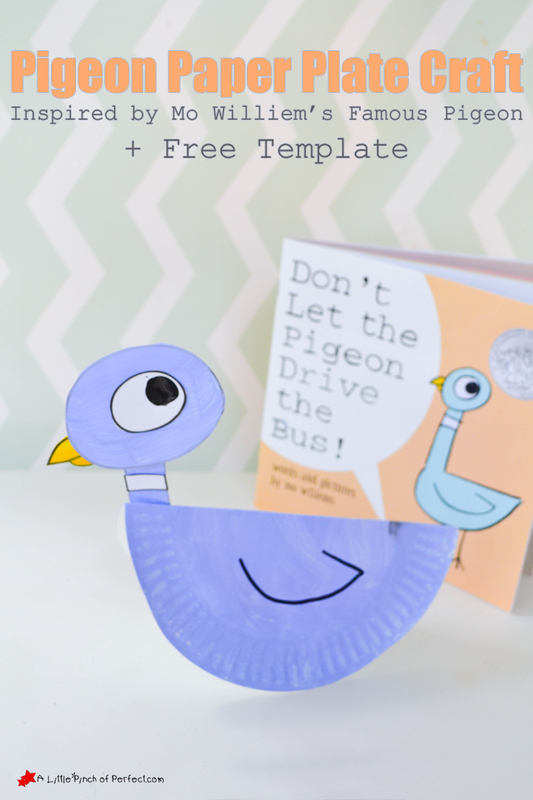 We made an adorable paper plate pigeon craft that even rocks using our free template because “Don’t Let the Pigeon Drive the Bus” by Mo Williems is the latest book in our house that gets read every day. 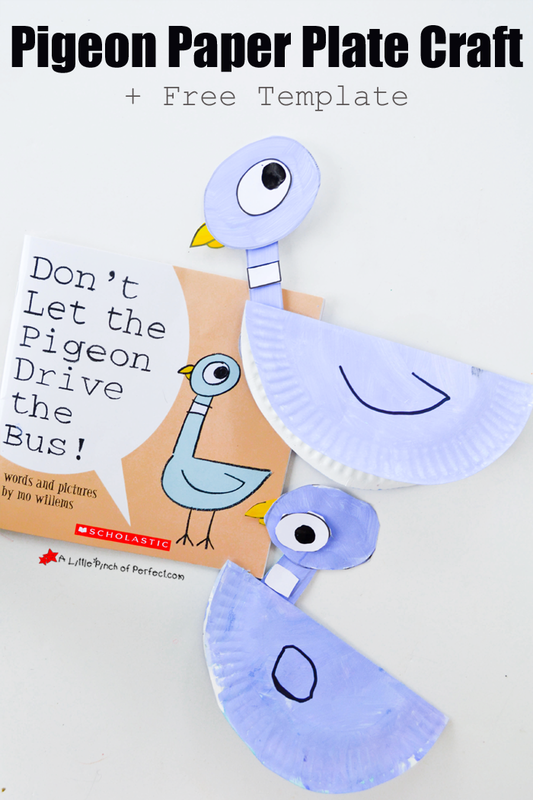 The kid’s can recite it by heart and love all the exclamation points that make the book fun and exciting to read, not to mention the silly pigeon with lots of emotion!!! Mo Williems has other pigeon books that we still need to put on our book shelf like, The Duckling Gets a Cookie, The Pigeon Needs a Bath, The Pigeon Finds a Hot Dog, and more. 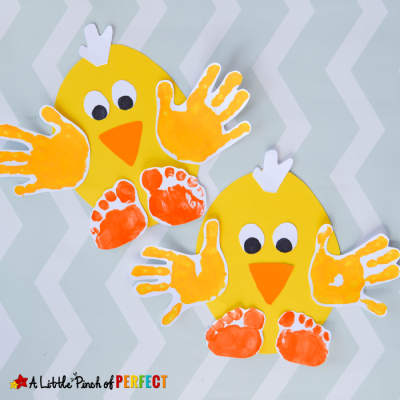 This post is part of the Kids Craft Stars monthly challenge,”Book Inspired Crafts for Kids”. 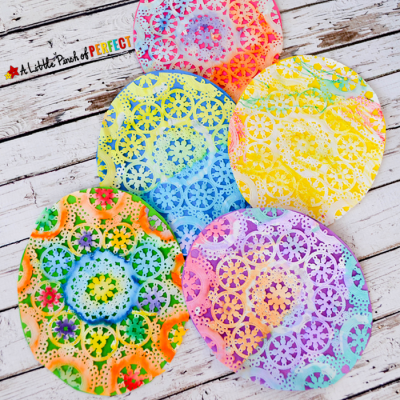 Be sure to check out the rest of the crafts listed at the bottom of this post. 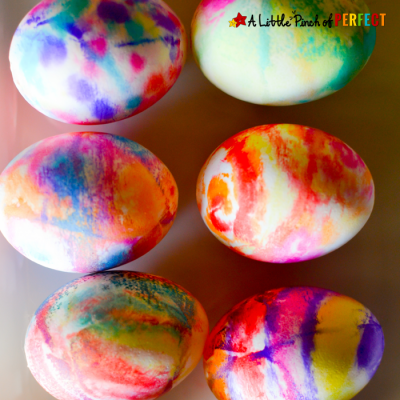 The list includes crafts from popular books such as Goldilicious, The Rainbow Fish, Chicka Chicka Boom Boom, and so much more! Join 220,000+ others, and follow the Kids Craft Stars Pinterest Board to stay up-to-date with the Kids Craft Stars latest creations. If you don’t want the pigeon to rock, you can use half a paper plate per pigeon. 1. 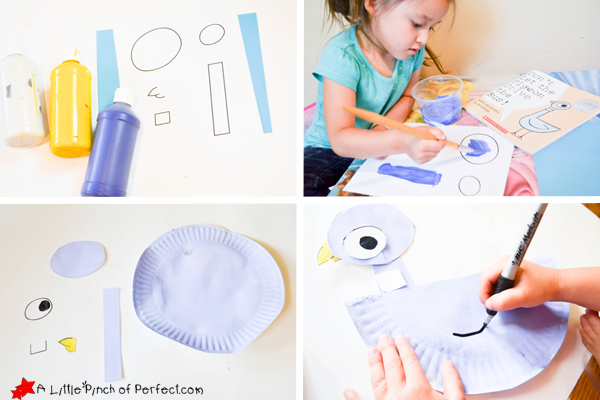 Paint the paper plate, the large circle (head), and long rectangle (neck) on the printable light blue. Paint the beak yellow and use a finger to make a dot inside the smaller circle for the eye. Leave the small rectangle white. Set aside to dry. 2. Cut out the pieces from the printable. Fold the paper plate in half and glue the pieces together onto the paper plate. 3. Use the black pen to draw a wing on the paper plate. 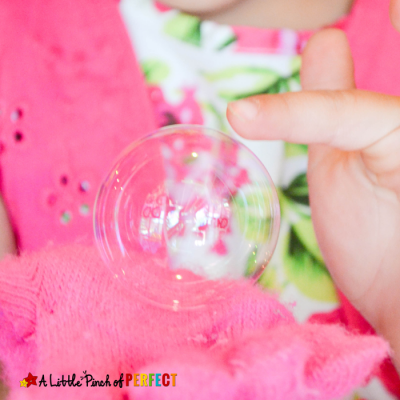 Tape the glass gem or other small object to the inside of the paper plate to make it balanced when it sits. Also, if your paper plate doesn’t stay in a V shape, make a tape loop and place it at the smallest point of the V to hold the two sides close together. Thanks for crafting with us today! Please click here to sign up for our weekly newsletter and receive exclusive subscriber freebies. You can also catch us on Facebook, Pinterest, Twitter. 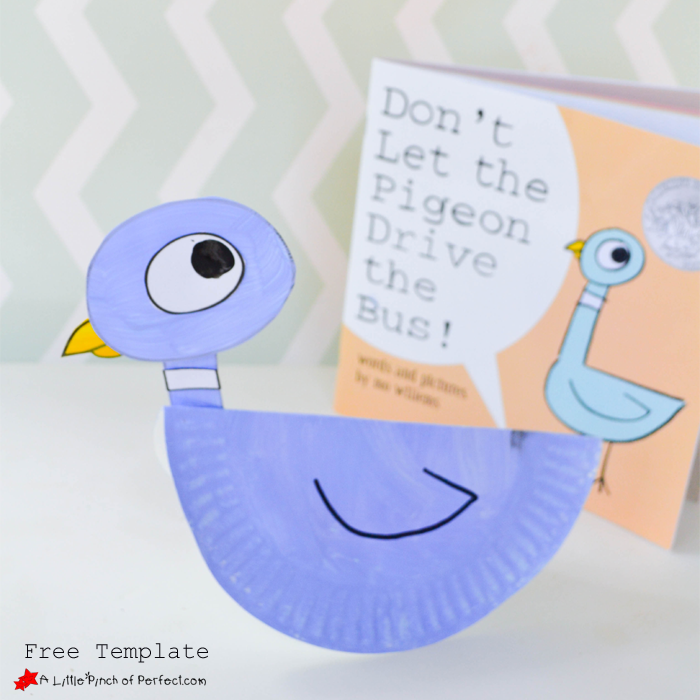 I just love those pigeon books – this is such a cute craft to go with them! 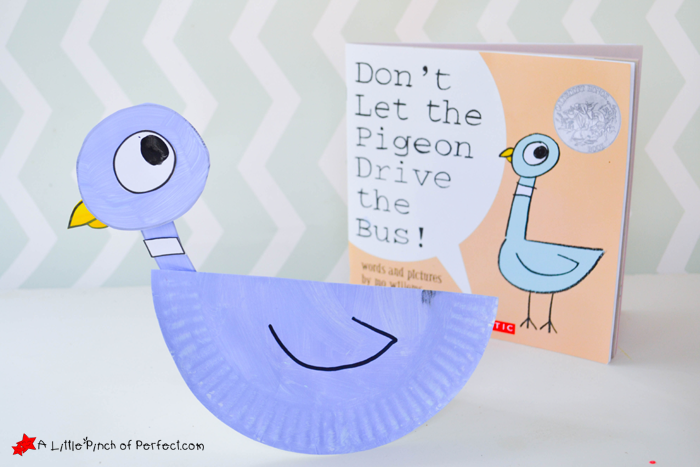 My kids love the pigeon books! Super cute craft!! we love Mo Willems! My daughter loves the one about the hot dog and pigeon! Pinned! Too cute! We are having a Pigeon Party for my son and this will be perfect. Thanks for sharing!